Before I was ever a homeowner I dreamed of the day that I would have Smeg fridge in the middle of my kitchen. This was before every blogger across the continental United States had owned one. Before they were even popular. For me, it was love at first sight. I found their shape and colour schemes to be so unique and so very lovely. In the meantime, I have only owned small, unique refrigeration units in the hopes of having something just a little different than the run-of-the-mill models until I may purchase my first Smeg. Now that we are building The Little Barn, my dreams may come to fruition. 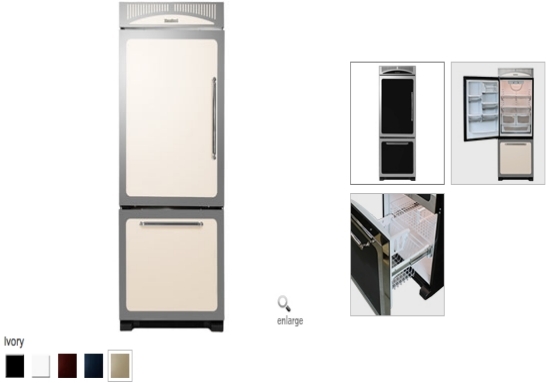 Choosing a fridge will dictate the entire look and layout of our kitchen. I’m honestly having such a hard time in deciding between spending a lot of money on something that I’ve wanted for years, or saving money and going with something extremely inexpensive but that I don’t really love. It’s a tough choice. What would you pick? Ok. This is a tough one. Do as I say not as I do? Meh, that won’t work, if you can swing it go for the one you want. The Smeg is a cutie. I like white myself. We did separate (fridge & freezer) hidden SubZeros and spent a small fortune…not sure I would to THAT differently though, even after 2.5 years. Wow very nice! Good luck to it, you must post up your finished home when you’re done! Oooh what great comments and suggestions!! I will look into that ASAP! Hi…Scarlett…Great information and beautiful presentation! Hi ya thanks for your lovely comments about my post and blog. 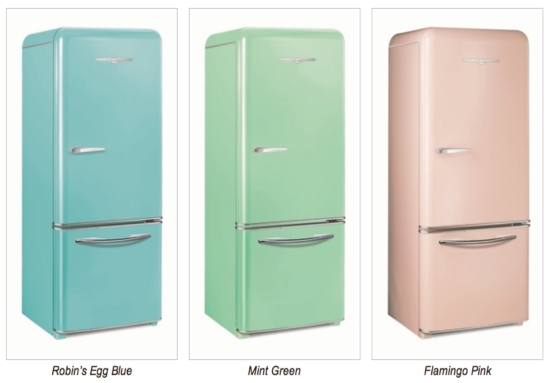 It was a tough decision but I had to go with the silver Smeg. 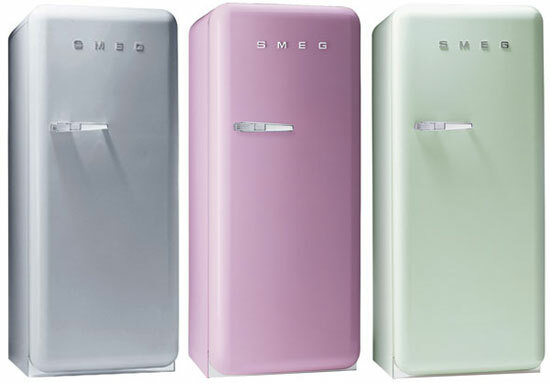 I actually really liked top row, no 3 Smeg as that green is really lovely – but went for the silver as it is more of a practical colour – which is how I justified “buying” the most expensive! I’ve come to the belief that practical things you use everyday are sometimes worth that bit extra if they make you happy every time you use it! I’m not sue if this is helpful? Good luck with your decision. It’s totally useful! Thank you! These comments are amazing and are helping me more than you realize.